Robyn Vilate: Fun in Floral. Just a little powder blue and floral print for my Sunday best! 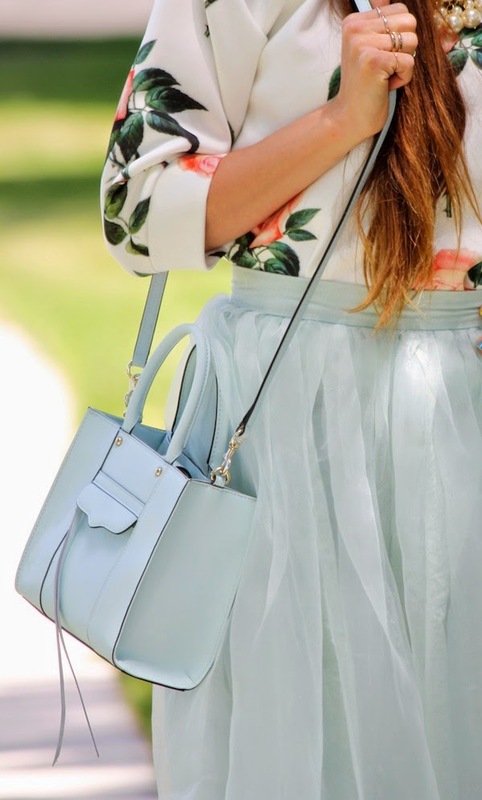 I'm a sucker for pastels and this gorgeous baby blue shade couldn't be a more perfect color for summer! I was even feeling a little fancy and put my pearls on, which were covered in slobber within about ten minutes. Olivia's favorite thing to do these days is teethe on every necklace I own, but if it keeps her busy and from getting into mischief, it's usually worth it :) Speaking of which, I better run and take care of the little mischief maker as we speak... she's quite the little escape artist these days! 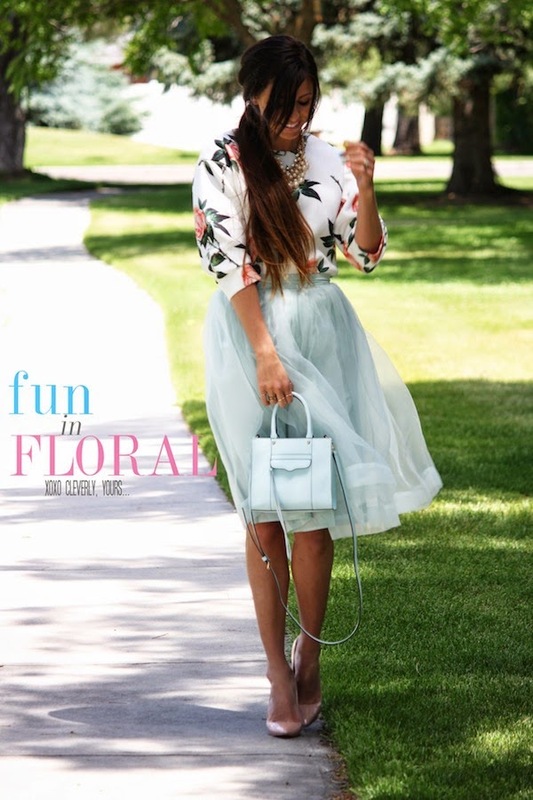 Love this tulle skirt and the floral top makes the outfit pop! LOVE that skirt and top together! Gorgeous! That Skirt and your nails! LOVE!!! Absolutely love this look, so pretty!